The first Australian string quartet invited to sign with Universal Music. The Orava Quartet has been hailed by Limelight magazine and The Australian as ‘the most exciting young quartet on the block’, ‘world class’, and ‘the real deal’. Earning a reputation for their thrilling performances, the Quartet bring their unique sound and breathtaking intensity to the classics of the string quartet canon. Selected by Deutsche Grammophon Australia for the label’s first ever recording release, Orava has performed throughout North America, the UAE, and Asia, working closely with the world-renowned Takács Quartet, and winning top prizes at the 2013 Asia Pacific Chamber Music Competition. Since returning to Australia, the Quartet has performed at major festivals from BBC Proms to New Zealand Festival, VIVID Sydney, AFCM, Bleach Festival and the Melbourne, Canberra and Queensland Music Festivals. In this concert, the Orava Quartet injects their signature passion and vivacity to works by Haydn, Brahms and Polish composer Wojciech Kilar. 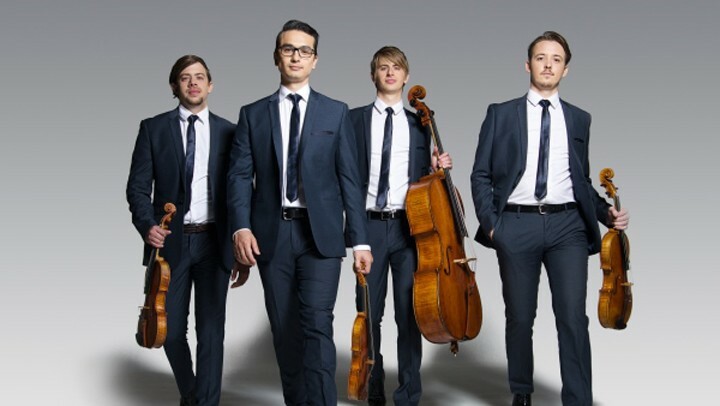 Based in Brisbane, Orava Quartet is Camerata's 2019 Artist-in-Residence. You can book your tickets in person at RPAC Box Office, 2–16 Middle Street, Cleveland or by phone on 3829 8131 or online at the RPAC website.